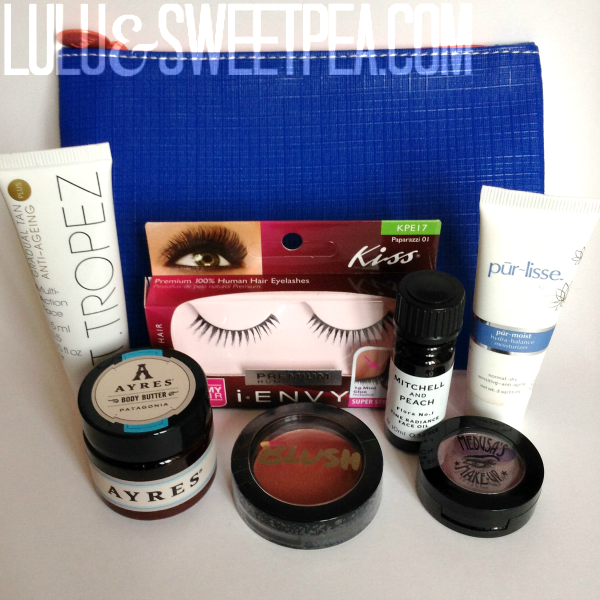 Social media love: Ipsy Glam Bag goodies giveaway! Spring has sprung! And along with it, so has my collection of beauty products. Seriously, is there such a thing as beauty hoarding? Because I'm pretty sure I have it. Whether it's nail polish, hair masks, serums, face creams, eye shadows, or practically any makeup item, you can bet I have about a bajillion of each...in every color/style/type imaginable. I just love trying new things and I'm always looking for the next new "it" product that's going to help keep me young and beautiful. Aren't we all? Between my online shopping addiction love, runs to Target, trips to the grocery store/pharmacy, or my mail subscriptions it seems like there's a never-ending stream of fun, shiny, pretty new bottles and packages to open up and try out. I swear, sometimes the lip glosses and hairsprays just jump into my cart! I can't resist. Well dolls, it's time to clean out my not-so-little collection. I can't believe how many unused, unopened beauty products I own. A few of them are from my Ipsy subscription. 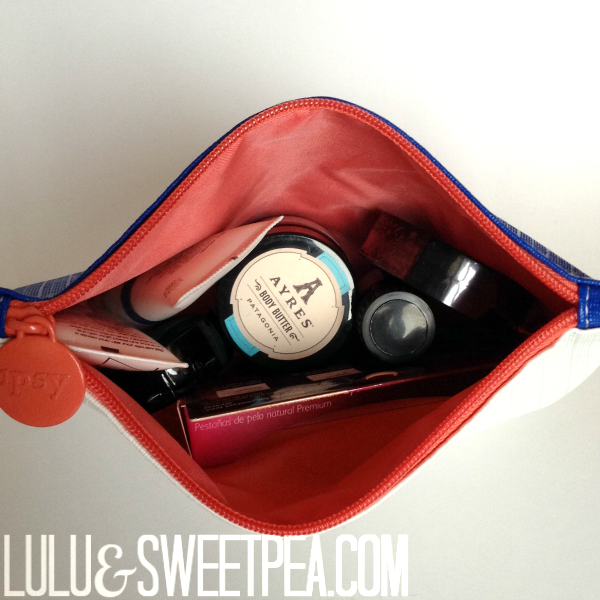 You've heard of Ipsy Glam Bags, right? It's a monthly $10 a month beauty subscription where I get 4-5 small sized items each month in a cute little bag. Everything is customized for my skin type, color, hair, and style, and I get to review the items to determine which products I get in the future (based on how I rate them). I love Ipsy! If I get something I don't need or that's not a color I like I usually end up giving it to a friend or to my mom (she gets Ipsy too, so we often trade/give each other stuff). It's a fun little surprise I look forward to each month. I just love getting mail! 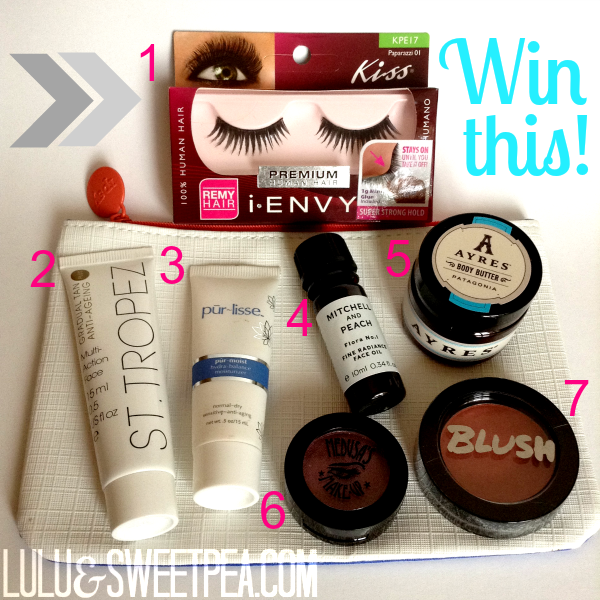 Speaking of giving away extra products, how would you like to win a few Ipsy goodies of your own? I have 7 sealed, unused products I've received in my Ipsy Glam Bags over the last few months that I just don't need or want. There's absolutely nothing wrong with them, but I just don't have a need for them or already use something similar to these. I also have tons of cute little cosmetic bags (thanks to getting a new one every month with my Glam Bag) so I'm throwing in this adorable little blue & white one I got with my January goodies. 1. iENVYbyKiss Lashes- Premium eyelashes made with 100% human remy hair. iENVY’s top 5 bestselling eyelashes include a mini glue that stays on until you take it off, but does not leave residue! 2. St. Tropez Gradual Tan Plus Anti-Aging Multi-Action Face- The St. Tropez Gradual Tan Plus Anti-Aging Multi-Action Face hydrates skin for 24 hours without blocking pores and provides a natural bronze glow. Prolongs youthful skin with Matrixyl Synthe 6, which rejuvenates cells and boosts collagen synthesis to firm, plump and visibly lift fine lines and wrinkles. Dermatologically tested. 100% Natural Ecocert approved DHA. Paraben free. Sulphate free. Aromaguard ™ fragrance technology eliminates the tell-tale self tan smell. 3. Pur-lisse pur-moist hydra balance moisturizer- Achieve beautiful balance with the Pur-lisse pur~moist hydra balance moisturizer. Gently smooth over face day or night after cleansing and toning. Glides on like a gel and hydrates like a cream and never greasy. Hydates your skin to create a perfect canvas for makeup application. Dries down to a healthy glow. 4. Mitchell and Peach Fine Radiance Face Oil- The Mitchell and Peach Fine Radiance Face Oil is a highly effective face oil packed with powerful natural anti-oxidants and vitamins that are instantly absorbed to leave skin feeling plumper, firmer and glowing with radiance. 5. Ayres Patagonia Body Butter- Enriched with plant emollients, herbal extracts and vitamins, this ultra-rich creamy body butter provides relief from dry, rough skin. Vitamin E natural antioxidant provides protection to your skin, while shea nut butter gives long-lasting hydration. Just drift away on a cool breeze of delicate jasmine and aromatic rosemary blended with lavender, bergamot, ylang-ylang, oakmoss, patchouli and fir. Inspired by Patagonia’s snow-capped mountains and blue lagoons, this fresh scent inspires a soothing sense of calm. All Ayres products are available in three signature collections: the vanilla-orange blossom Midnight Tango, the lemongrass-patchouli-lime Pampas Sunrise and jasmine-rosemary Patagonia. Paraben free and propylene glycol free. Naturally derived. No animal testing. 6. Medusa's Makeup Safari Eye Shadow (color: Eggplant Shimmer)- Medusa's Make-up Safari Eyeshadow in Headhunter is a high-pigment, pressed eye shadow with a natural mineral-based formula. 7. ModelCo BLUSH Cheek Powder (color: Peach Bellini)- ModelCo’s BLUSH Cheek Powder creates a beaming, rosy glow to brighten every complexion. The micronized color pigments and luxurious, pressed powder delivers a sheer, natural radiance that lasts all day. If you're interested in trying out Ipsy you can use my referral link so I can earn Ipsy Points! You can "cash in" your points you earn from referring friends and reviewing products for bonus items in your next month's Glam Bag. I've done this twice and ended up with two full sized lipsticks in my favorite color and an awesome angled face brush that's coming in my March bag. (I love getting free stuff just about as much as I love collecting face creams). Once you sign up you can refer friends and earn some points for yourself too. Trust me, you'll want to tell everyone about Ipsy once you join. And if you don't love it? Just cancel. There's no commitment and you can cancel your subscription any time. This giveaway is open to the US & Canada only. Please refer to the terms & conditions for complete rules. What about you? What's something you have way too many of?